Are you thinking about homeschooling high school and college, too? 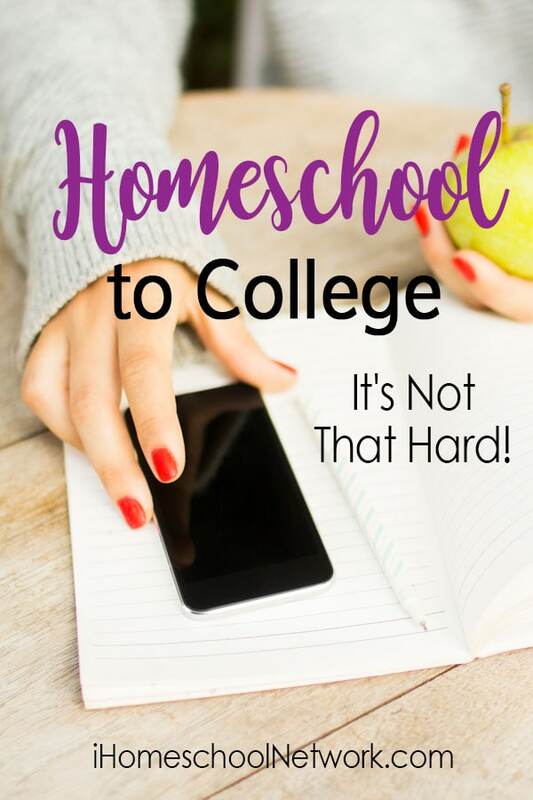 Going from homeschool to college is really not that hard! Really! I thought that it would be, at first, too. When my daughter was starting high school, I wondered how we would deal with college, too. Would she have a harder time getting into college as a homeschooler? Would that involve a lot of extra work on my part? But when I helped her apply, I found the colleges to be much more approachable and homeschool friendly than I thought they would be. And I worried A LOT more than I needed to. We homeschooled our daughter through high school, and now she is almost done with her college experience, too. My daughter is now a senior there and has loved being in college. It has nurtured her and helped her to discover her talents and to find direction in her life. What was the key in getting her there? The key to her success with getting into college, was really just one thing – planning. Our homeschooling style during the high school years was really not that different from other years. We continued to homeschool like we did before, but we also kept important planning factors in mind. But as homeschoolers, we are already experts in planning! We have searched for and chosen curriculum each year for our kids. We have decided on which subjects to focus on and how to teach them. Planning for high school, with college in mind is really no different, except for a few important things, that I will cover today. But each college is different. This is just a general idea of what you will see. The harder colleges will ask for more. But don’t assume that you have to do 4 years of each core subject, unless you are aiming towards a more exclusive college. Depend on your own research for this, that is essential. Next, let’s look at homeschool requirements, as some colleges still have them…..
2. Check for any Homeschool Requirements as well. Many of the colleges still have a few extra hoops for homeschoolers to jump through, but they are usually not hard to deal with. REALLY! Homeschool requirements are extra testing or requirements that are asked of homeschoolers only. And fewer colleges are still asking for these extra homeschool requirements. That is the trend. It is a good idea to look for any extra homeschool requirements on each of your teen’s likely college websites, just to be sure. Once you have done that, then you can make a tentative high school plan for your teen, leaving room for high school electives. Homeschooling high school allowed us ample time for our teen to explore her interests and develop their talents. My daughter started out want to learn photography as a child. Then moved onto video-making. She also took time to learn dance. What does your teen want to explore? Have you seen my post on 100 ideas for high school electives? Electives can be a real help in getting your teen into college. Next, let’s talk about the PSAT. Whether you choose the SAT or the ACT test, I recommend doing the PSAT, which is usually done in fall of 10th grade. The PSAT gives your child practice in taking a comprehensive test, which can really help with the actual college testing later. It did for us. This gave us helpful tips for what she needed to study, to prepare for later testing for the SAT or the ACT. And dealing with the SAT or the ACT is the next thing to consider on our list…. You may have heard that some college are no long requiring formal testing. But, alas, this is still a required at most colleges in the U.S.A. It is a good idea to go ahead and schedule the SAT or ACT during the junior year of high school. I recommend doing some test prep first, as it helped us a lot…It may also be helpful to consider taking it more than once, if your teen’s desired colleges tend to require those higher scores. We did our testing in 11th grade. Test prep can become a high school credit, in either English or Math. Really! All of our colleges accepted that in the form of one-half credit. And finally, let’s talk transcripts. Your teen’s homeschool transcript will serve as the clearinghouse for all of their high school coursework. This will give the college admissions officers one place where they can see everything at a glance. And that is what they are looking for. So you will want to include both courses done outside the home and at home in the transcript. There is an easy way to show whether the course was done at home or outside the home. Just put an “*” next to the courses that were done from outside sources, and a simple note at the bottom of the transcript, stating these were done at whatever place your child did them, the name of the college, or school, etc. Once you have these 6 key planning items under control, you can relax, knowing that you are well on your way to helping your teen go from homeschool to college. That is what we did. I loved the time spent homeschooling my high schooler. We built many great memories together. And she made life long friends, while our family thrived. I wish you joy in being with your teen during their high school years at home. Would you like more information on homeschooling high school with college in mind? 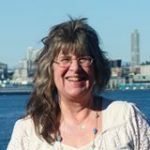 Do you want to know more about how I got my always homeschooled daughter into each of the colleges on her list? With scholarship offers? You can homeschool high school with college in mind! And it really is not that hard! My book, Homeschooling High School with College in Mind, on the subject, is also available as an ebook or PDF.